Three projects based in Nunavut and one in N.W.T. have each won part of the first Arctic Inspiration Prize, worth a total of $1 million. Several Northern projects have each won part of the first Arctic Inspiration Prize, worth a total of $1 million. The awards were handed out Thursday night at the annual ArcticNet meeting in Vancouver. ArcticNet is a network of researchers focusing on the impacts of climate change and modernization in the Canadian Arctic. The prize is intended to support projects that use Arctic knowledge and research to benefit the Canadian Arctic and its people. Mason White and the Arctic Food Network took home the largest chunk of the prize — $360,000 to set up a food sharing system with a series of structures built along Ski-Doo trails. The Nunavut Literacy Council is getting $300,000 to help people use literacy skills outside the classroom such as when hunting or sewing. Kim Crockatt, the council's executive director, said it's about turning research into action. "It's always better to have more support for what we're doing," she said. "I think this will help us get that." Inuit Qujimajatuqangit received $240,000 for its book project, What Inuit Have Always Known to be True. 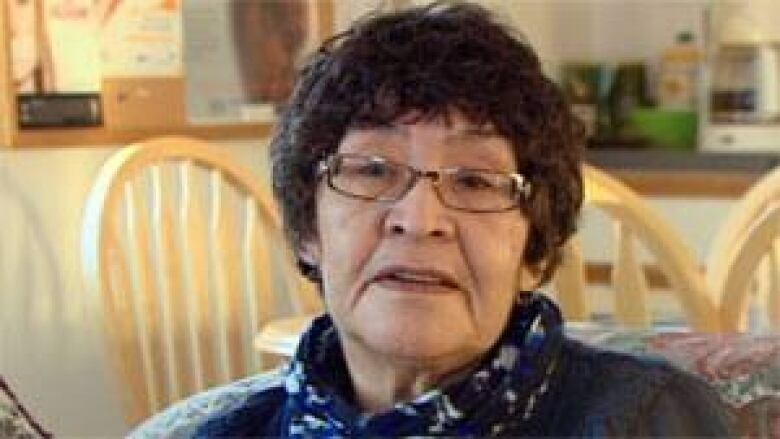 Shirley Tagalik said the project is a way to preserve traditional knowledge of Inuit elders. Tagalik said she's glad the elders' dedication and hard work is being recognized on a national scale. Lutselk’e, N.W.T., is the fourth winner, getting the remaining $100,000 which will be put towards a trust fund to support community development of park management skills. The community is negotiating a park agreement with the federal government for the establishment of Thaidene Nene National Park Reserve at the eastern end of Great Slave Lake. Addie Jonassen, who sits on the Thaidene Nene Advisory Board, said they received a call last week about the news. "I'm so excited about it and really proud that we're honoured in getting this prize," she said. She said for the last 40 years people of Lutselk'e have been fighting against industries threatening to develop lands they say hold traditional significance to them. "One day, we'll have an area — traditional area — around Lutselk'e protected and that’s our hope and our vision." The Arctic Inspiration Prize was launched last spring, and funded through an endowment by the S. and A. Inspiration Foundation. Arnold Witzig and his partner Sima Sharifi started the foundation. Witzig said the award is their way of giving back as new Canadians. "We witnessed the challenges the very first Canadians, the Arctic peoples, were facing due to rapid changes in their environment, their culture and their economy," he said. The award's selection committee included Sheila Watt-Cloutier, Susan Aglukark, former commissioner of the Yukon Geraldine Van Bibber, former governor general Michaëlle Jean and CBC's chief correspondent, Peter Mansbridge.